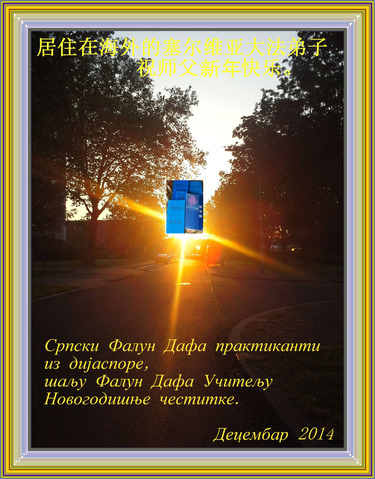 Falun Dafa Practitioners from Russia Respectfully Wish Revered Master a Happy New Year! All Falun Dafa Practitioners from Ukraine Respectfully Wish Revered Master a Happy New Year! Greetings, Master! Practitioners in the war zone in eastern Ukraine, respectfully wish revered Master a happy new year! We are grateful to Master's strengthening and caring and compassionately protecting disciples through the tough times. Disciples will continue doing well on different positions in clarifying the facts of the persecution and helping more people to be awakened. We will bring the wonderfulness and blessing of Falun Dafa to more people. 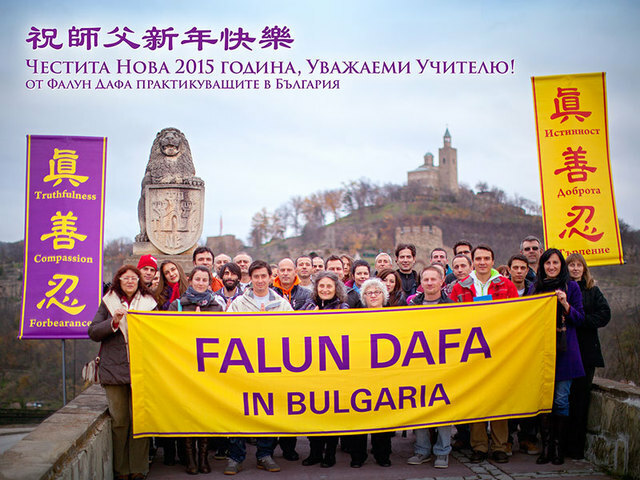 Falun Dafa Practitioners from Bulgaria Respectfully Wish Revered Master a Happy New Year! 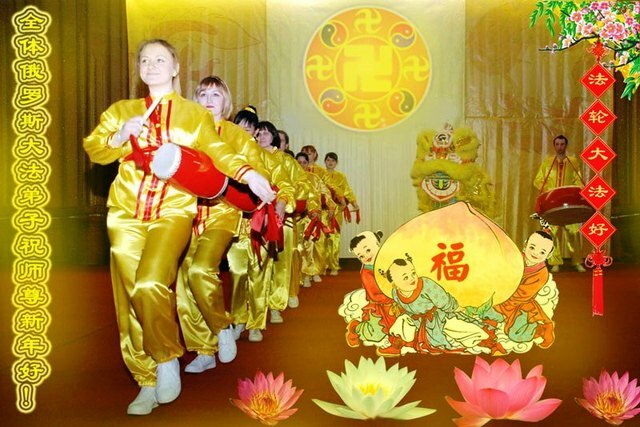 Falun Dafa Practitioners from Latvia Respectfully Wish Revered Master a Happy New Year! Falun Dafa Practitioners from Serbia Respectfully Wish Revered Master a Happy New Year!